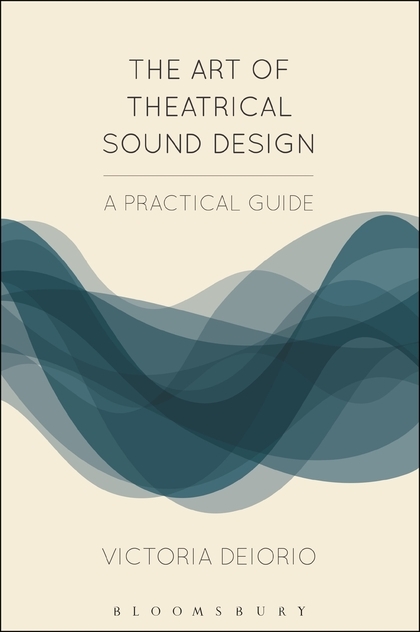 The Art of Theatrical Sound Design is a textbook by Victoria Deiorio which emphasizes the artistry of the ‘why’ behind the decisions made by theatrical sound designers, as well as practical advice on how to achieve that artistry through the understanding of evolutionary and associational response. The book is structured into three parts: Part 1 theoretically explores how human beings perceive the vibration of sound; Part 2 contains exercises to develop support for storytelling by creating an emotional journey for the audience; and, Part 3 delves into how to collaborate and communicate as a theatre artist, as well as a practical look at how to create a cohesive design. Permeated throughout with theatrical application, and terminology developed at DePaul University – in which action words and adjectives are used to describe specific sound – The Art of Theatrical Sound Design is a key textbook for anyone seeking to understand the nature of sound and how to apply it on stage. The aim is to develop well-rounded artists that are able to apply psychology, physiology, sociology, anthropology, and all aspects of sound phenomenology to theatrical sound design. Victoria Deiorio is a critically acclaimed sound designer and composer for theatre and film, based in Chicago, USA. With a BFA in Musical Theatre from Syracuse University, and having studied classical acting in London at RADA and LAMDA, she transitioned from the performance artistry to the technical. Her compositions and sound design have been heard in many theatres over the past 18 years. Victoria is the head of Sound Design for The Theatre School at DePaul University, Chicago, USA. Victoria’s composition and sound design has been heard Off-Broadway and Regionally across the United States. Victoria is also a director, playwright, and composer. She is the first woman to have been nominated for 13 Joseph Jefferson Awards – winning seven – and her work has garnered two After Dark Awards. As well as being a founder and the Executive Board Co-Chair of the Theatrical Sound Designers and Composers Association (TSDCA), Victoria has also produced 2 CDs of original music with her band ToyBand.